The Install: I decided that it would be best to install WordPress manually, downloading the.zip file to my desktop and placing the extracted files into WAMP Server. I thought it would teach me a thing or two. It did. 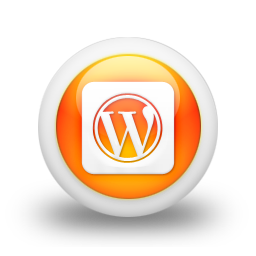 It taught me not to be an idiot and not to always go for the one-click option that a lot of hosting providers offer as they don’t always specify what version WordPress you are getting & whether your current version will be updated should the WP community decide to update the software to a more advanced version. I managed the install myself in two minutes. Get Plugged In: There are literally thousands of great plugins for WordPress and getting them sooner rather than later can make your life a lot easier…I mean a lot. Trust me. I’d recommend Jetpack for a load of WordPress extras, Google Analytics for WordPress and Google XML Sitemaps to make your site easier for Google to find. Also if you’re struggling with getting your web form to work there’s hundreds of pre-built forms so that your site’s customers can get hold of you. How about a Poll to get your customers thought’s on your site? this can be achieved easily with the Polldaddy! Plug-in. Release Your Inner Child: Creating a child theme is essential if you’re going to start customising a theme, as any updates will wipe your changes. So if you like a particular theme but want to customise it to your individual taste i.e. you want to change the fonts, colours etc. Specific Page Changes: It’s easy to customise the layout of specific pages in your website, this is done with the aid of the WP Template Tag that goes into the head section of the page you’re working on, this is then saved as a .php file in your themes folder and you can access the page template through the WordPress admin New Page panel under: “Templates”, a nicely integrated feature of the CMS software. Fitting In: The Twenty Eleven theme kept on displaying the side bar underneath my blog-posts. This was because of a line of code in the header file. Making a copy of “header.php” and pasting into my child theme’s folder and then deleting solves the issue. So you can play about with just about any element on the page to suit your needs. I’m still digging & playing around so I’ll share any more tips I discover along with advanced features. Any you’d like to share? Please let me know.